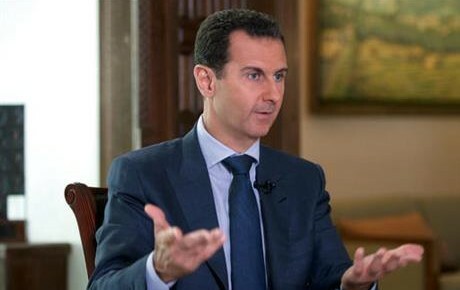 President Assad has made many questionable assertions in his interviews with international media, from his dismissal of large protests in 2011 to his denial that the regime military uses barrel bombs to his claim that no civilian areas have been deliberately struck by his armed forces. The statements usually are unchallenged, as the interviewer moves to the next question for the President’s prepared responses. However, Assad’s latest interview played out differently. The Associated Press decided to test the President’s claims in the discussion broadcast on Thursday. ASSAD: The Syrian President denied Syria or Russia carried out Monday’s attack on the aid convoy that killed 20 people, many of them aid workers. He suggested rebels were to blame, saying the area was under their control. He claimed that at the time of the attack, “terrorists” were striking government forces with missiles, and that his forces didn’t respond in a show of restraint. FACTS: The convoy, organized by multiple aid agencies and led by the Syrian Arab Red Crescent, was the latest in a regular mission delivering supplies from U.N. agencies to rural rebel-held areas in Aleppo province. For the September trip, it had obtained all necessary clearances from the government, rebels as well as the Americans and Russians, who operated aircraft in Syrian skies. The convoy was at one its warehouses in the town of Orem al-Kubra, west of Aleppo city. The attack began after nightfall as staffers loaded trucks. Witnesses described no fewer than 20 missiles striking the warehouse and trucks over a two-hour period. They said they heard aircraft and that among the blasts were barrel bombs, which are dropped from government helicopters. The rebels have no aircraft. Video taken by a local activist shows part of the attack, with a missile streaking down from the night sky, causing a huge explosion and ball of fire. The sound of aircraft overhead is clearly heard. Other footage shows buildings in flame and burned bodies, as well as piles of aid supplies. The witnesses at the scene included rescue workers and paramedics, as well as the brother of the head of the Red Crescent, who was killed in the attack. The top US military officer, Marine Gen. Joseph Dunford, chairman of the Joint Chiefs of Staff, told a Senate committee Thursday he believes Russia bombed the convoy and said Syrian and Russian aircraft were in the area at the time. ASSAD: He said “even the United Nations said that there were no airstrikes against that convoy”. FACTS: The UN has not said it was not an airstrike. “We are not saying what it was. We are saying that we are not in a position to determine the exact nature of the attack,” Jens Laerke, deputy spokesman for the UN humanitarian agency, said Thursday. ASSAD: He said that in the years of conflict, no international organization or aid convoy has come under attack. FACTS: Syria is one of the world’s most dangerous zones for aid workers. At least 54 Red Crescent volunteers have been killed in Syria. Aid groups and international convoys have reported coming under fire, both from government forces and rebels. FACTS: Few independently confirmed details of Saturday’s strike have emerged. The US military said it may have unintentionally struck Syrian troops while carrying out a raid against the Islamic State group. Britain, Denmark and Australia have since acknowledged that their planes took part in the airstrike. The State Department called Assad’s claim the strike was intentional “ridiculous”. The Syrian government controls about 40% of Deir ez-Zor city while the Islamic State group controls the rest of the city and the surrounding province. The strikes took place near the government-held airport, a front-line area where Islamic State group fighters were launching attacks. UN officials have often complained in the past of blocked aid deliveries. Earlier this year, aid convoys were prevented from reaching 15 of the 18 besieged areas around Syria. As a result only around 750,000 of the nearly 5 million Syrians living in hard to reach or besieged regions received assistance, according to the U.N.
Aleppo has been a battlefield since July 2012. During that time, the opposition eastern neighborhoods that are home to around 300,000 people had open supply routes to rebel territory in the surrounding countryside. The complete siege is more recent. This year, government forces backed by Russian airstrikes advanced and finally, on July 17, they captured the Castello road, the last main artery into eastern Aleppo, cutting it off completely for the first time. That seal lasted around 40 days, with no supplies entering. In early August, rebels from outside Aleppo city broke the siege, recapturing a corridor. Some food and medicine made it into the neighborhoods, until government forces retook the roads, re-imposing the siege in early September. Since then, international aid groups say no humanitarian supplies have reached those areas. FACTS: The UN rights agency UNICEF and other UN agencies have repeated condemned airstrikes on hospitals and medical facilities. The aid group Doctors Without Borders has several times reported that hospitals it works with in opposition areas have been hit. The U.S.-based Physicians for Human Rights recorded 382 attacks on medical facilities and hospitals throughout Syria since the start of the conflict in 2011. Of those, 293 were carried out by government forces and 16 were by Russian warplanes, it said.